Now that you understand that the process of deception begins with the individual, we can move on to who it is that does the deceiving. Remember, the first person in the chain of deception is the one who deceives himself. With that in place, it then becomes an easy matter for the deceivers in our midst to step in and assume complete control over our mind. The problem here is that blaming the “other” for our deception just won’t wash with the Lord. We are personally responsible for our life and the direction it takes. Yes, there is a devil; and yes, he does tempt us to sin. James 1:14-- But every man is tempted, when he is drawn away of his own lust, and enticed. It begins within. Plain and simple. So, if the devil DOES tempt us, how does he do that? When was the last time the devil personally appeared to you with a temptation? Therefore, it is necessary that we be able to recognize those who would deceive us. It is not as difficult as one might imagine. The Bible is not silent on this, and gives plenty of clues to help us avoid being deceived. Besides ourselves, there are false prophets, false shepherds, false teachers, false christs, and unfaithful ministers all lining up for a chance to deceive you. We all know these types exist, but our problem is that we have not developed more than a superficial and ineffective method for recognizing them. I was labelled early on as a “false prophet” when I publicly denounced the Rapture. Now, I’m just ‘wrong.’ Many, who have a much broader influence than I, now discount that particular fairy tale. The same holds true for water baptism, communion, church membership, or a myriad other things that have divided us into denominations over the centuries. There are too many scriptures concerning these antichrists to deal with every one of them either in this article or in the series. So, if this interests you, you can always get your concordance and do your own study on this. I will only look at a few of them in order to give us an idea of how all this works. The word “beware” is the first thing we should consider, for it has been mis-interpreted and mis-applied for most. Anyone who makes a living from public speaking—and this includes your pastor/preacher—is skilled at the art of rhetoric, ie, persuasive speech—at least at some level. The higher the skill, the greater the potential for deception. Of course, that does not mean that anyone who is highly skilled in rhetoric is corrupt. 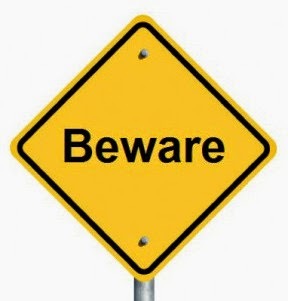 The English word “beware” occurs 15 times in the NT of the KJV, and it translates three different Greek words, each of which has a somewhat different connotation. In each place, though, the idea of “Pay Attention” is primary, while the idea of “being on the lookout” is the rationale. The lesson in this is plain: if we do not pay attention, then we are open game for any and all deceivers who come our way. Until next time, why don’t you take time to look at the following verses to see all the things of which you are to beware.